Savor the best New York style pizza in Mequon, Wisconsin when you visit Leonardo’s Pizza. Leonardo’s is family owned and has been serving the Mequon area for more than 30 years. We are proud to offer dine-in, carry out, and delivery services. Our restaurant has comfortable seating for up to 50 guests. 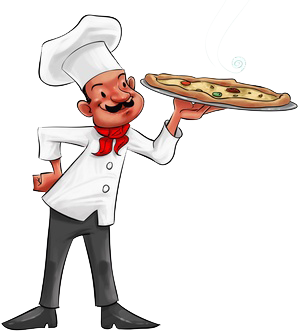 We also offer a variety of other food items, including our famous, homemade calzones, mozzarella sticks and lasagna. Stop in today to grab a slice or to enjoy a relaxing dinner with the family! • Having a party? Check out our Event Food! We also have Daily Specials! ©2013 Leonardo's Pizza. All rights reseved.